In November 2014, a new European legislation requires all new passenger vehicles sold in Europe to be fitted with a tyre pressure monitoring systems for the road wheels (not the spare). Many vehicles have a simple version of this TPMS already, known as an ‘Indirect’ system - for example some BMW and Volkswagen Group vehicles have a tyre pressure indicator (Measured by the ABS sensors). Both systems constantly monitor and warn of a drop in tyre pressure. 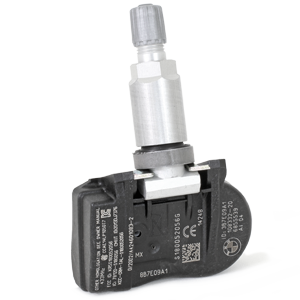 The ‘Indirect’ type system is gradually being replaced by a more accurate ‘Direct’ pressure monitoring system whereby each wheel has a tyre pressure sensor mounted to the valve inside all four wheels. This system alerts the driver of a drop in tyre pressure or increase in tyre temperature - maximizing safety, tyre life and fuel economy. 1. You can switch the current valves in your wheels to the new wheels and tyres. Seems simple, but you may need to ensure that the valves remain in the same position on your vehicle as in the original wheels. The downside of this option is that you would need to have this done twice per year which would involve rebalancing the wheels and it could easily cost £120-150 per year. a) You should not use this option if you are unable to disable the system (check with your handbook or dealer), as a fault light is a potential MOT fail. b) You should check with your insurance company before disabling any safety feature on your vehicle. c) If you intend on using runflat tyres. These days many BMW drivers opt out of using runflat tyres on winter wheels, and choose repair kits or the AA instead. If you do decide to use a runflat tyre, you should not disable your tyre pressure monitoring system. This is because you will have no way of knowing that you have a flat tyre until the tyre completely blows out! So the message here is: If you use runflat tyres - you need the car to tell you when they are flat. In any event, this will affect all new vehicles and a second set of valves is more inital outlay, but probably the best long-term option if you want to monitor your tyre pressures. If you can't fit them on your next vehicle, the valves should always have good re-sale value (especially when fitted to wheels). 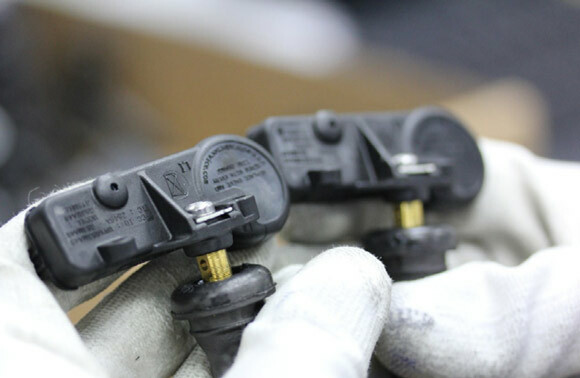 As a company we have researched this area in detail to find the best value solution, and we now offer a comprehensive selection of TPMS valve options at excellent prices. Please note that we insist on considering this advice along with advice from your dealer and using common sense. If you want to discuss your specific requirements or for more information about your options with TPMS and our products, please contact us. 2. How do I know if I have a TPMS? - If you can see your tyre pressures through an in car screen OR check your manual OR contact your dealer. If you just have a funflat indicator light, you probably do not have TPMS. 3. I ordered TPMS as an addon (it wasnt standard) is this ok? - We can source valves for you, but they are probably a different specification from that shown. Basically if your vehicle came standard with TPMS valves from 2014 on our offered valves are suitable, if not call us and we can advise you.